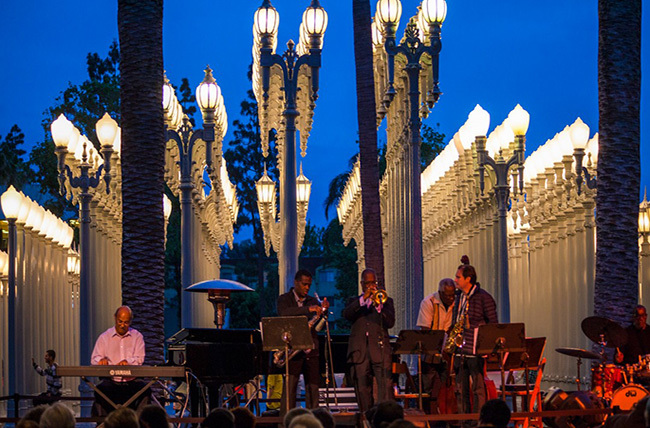 One of L.A.’s best free live music offerings (from Friday June 1 2018 - Friday July 27 2018), Jazz at LACMA has featured such legends as Wayne Shorter, John Clayton, Kenny Burrell, Les McCann, Billy Childs, Arturo Sandoval, Cannonball-Coltrane Project and Ernie Watts. Celebrating over 20 years at the museum, the program continues to be one of the museum’s most recognizable (and beloved) programs. It’s a celebration of L.A.’s finest jazz musicians, and more than 42,000 visitors attend the program annually from April through November, making it a true L.A. rite of passage. Click here for more info.